RSVP: 😉 Like, Comment & Share with YOUR Friends! i.e. 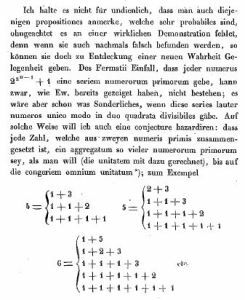 that for every n > 4, there exist polynomials of degree n which are not solvable by radicals (this was proven independently, using a similar method, by Niels Henrik Abel , since for n > 4 the symmetric group Sn contains a simple, noncyclic, normal subgroup, namely the alternating group An. 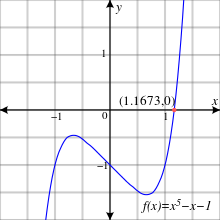 An example is: f(x) = x5 − x − 1, the lone real root x = 1.1673… is algebraic, but not expressible in terms of radicals. The other four roots are complex numbers. Categories: Math-2-N-Joy..., Math-A-Live..., Math-Jet-Set... | Tags: Hollidays & Math..., Just 4 Fun... | Permalink. En febrero de este año -coincidiendo con la publicación de un resultado de Terence Tao que podía contribuir a la demostración de la conjetura- Rafael Tesoro escribió la entrada Algunos resultados camino de la conjetura de Goldbach en el blog Gaussianos. Rafael explicaba los avances en el estudio de este famoso problema. Categories: Elementary Math..., Lingua ES..., Math-2S-Quiz... | Permalink. I – as any mathematician – know quite a few math gems that – I believe – should be at the heart of school-math… But, this one, is just exactly what school-math should be 4 ALL of us! Categories: Elementary Math..., HIGHER MATH..., Lingua EN..., Math-2S-Quiz... | Permalink. 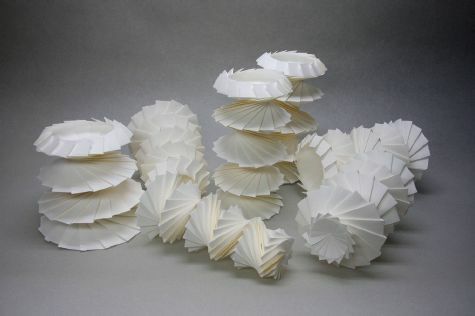 … Matemática Es Otro ¡Arte! Categories: Lingua ES..., Math-A-Live..., Math-Jet-Set... | Tags: Beauty & Math..., Math 4 Arts..., Math in the Media... | Permalink. Without a grasp of math, how good is an economist? Mujeres y Matemáticas – Real Soc.Mat.Es. Enter your email address to follow this blog and receive notifications of new posts by @mail.